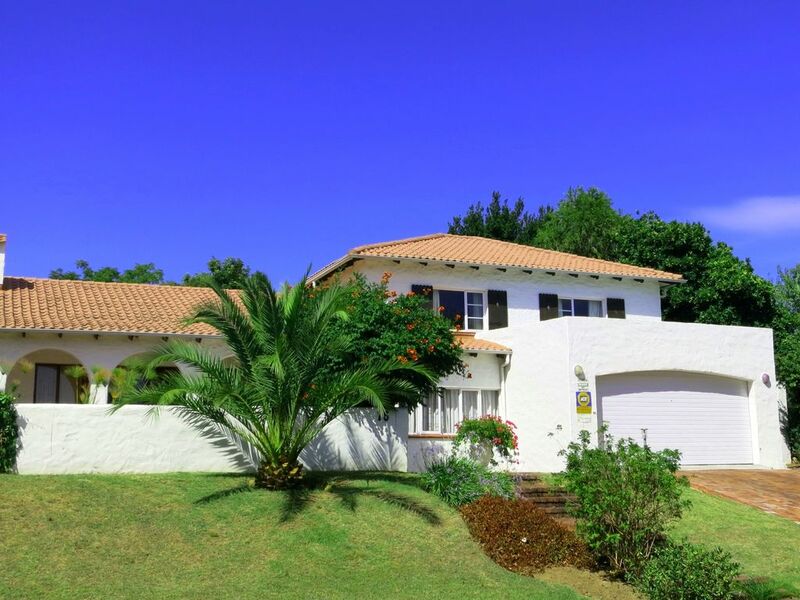 Our holiday home is located among villas in a quiet neighbourhood at the foot of the Jonkershoek Mountains, in the midst of the renowned wine growing area and the golf courses of the Cape region. Completely renovated and newly furnished, the villa offers 150 m2 of living space. From the balcony, one has a direct view of the pool. Two large terraces and a brickwork grill offer the visitor absolute relaxation. Further Details: Golf and wine paradise, hiking, German landlord, burglar alarm, safe, maid if desired, heated floors in the living-room, 7 german tv-channels, 4 german radio-channels, pool heated by solar energy. Shimmering blue mountains, historic houses in the Dutch Cape style, the mild Mediterranean climate, sun-soaked wine gardens - the idyllic Stellenbosch captivates every visitor with its charm, especially the wine-lover and the golfer.